Top Cap is now a part of the HRI Scheme. Please reads specific details below to see if you qualify for the scheme. Links are also available at the end of the of the webpage that will bring you to the revenue website. 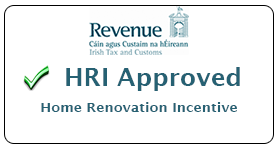 Finance (No 2) Act 2013 and Finance Act 2014 provide for a Home Renovation Incentive (HRI) Scheme, which will runs to 31 December 2018 for Homeowners and to 31 December 2018 for Landlords. The Incentive provides for tax relief by way of an Income Tax credit at 13.5% of qualifying expenditure on repair, renovation or improvement works carried out on a main home or rental property by qualifying Contractors. The credit is payable over the two years following the year in which the work is carried out and paid for. The first year for HRI tax credits is 2015 for Homeowners and 2016 for Landlords. The works must be carried out on or after 25 October 2013 and up to 31 December 2018 for Homeowners and on or after 15 October 2014 and up to 31 December 2018 for Landlords. 2013 payments, made between 25 October 2013 and 31 December 2013, are treated as 2014 payments for Homeowners. 2014 payments, made between 15 October 2014 and 31 December 2014, are treated as 2015 payments for Landlords. Homeowners or Landlords must be Local Property Tax and Household Charge compliant in order to qualify under the Incentive. Landlords must also have complied with the Private Residential Tenancies Board External link registration requirements. Contractors must be VAT and RCT registered and tax compliant in order to qualify to carry out works under the HRI. The Incentive will be administered through Revenue’s HRI online which is available on myAccount (for homeowners) or on Revenue’s Online Service (ROS) (for contractors and homeowners) if you are registered for ROS. All works, payments and claims must be entered on HRI online. Both myAccount and ROS can be accessed on this website. While this scheme is administered exclusively through Revenue’s online systems, local Revenue offices are available to provide assistance to customers who don’t have online access. You can find contact details for your local Revenue office at Contact Locator.